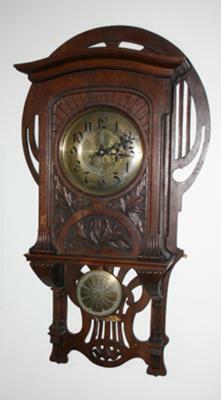 I know this is a German clock circa 19th Century - but have no idea of the maker. My mother bought this clock in Germany about 1965 and left this, and other clocks, with me when she passed away in '85. It works and keeps pretty good time - but has never been cleaned since I inherited it. It has a 41" x 22" 'foot print' overall. It is not a 'favorite' clock story because I'm not a connoisseur. But I am curious about what I have here?